The U.S. Navy has awarded spots on a potential 10-year, $50B contract vehicle to 1,870 businesses for project management and engineering support services. Each contractor has an opportunity to compete for individual task orders across 23 functional areas under the SeaPort Next Generation indefinite-delivery/indefinite-quantity contract, the Defense Department said Monday. DoD estimates the government will procure $5B worth of services annually through SeaPort-NxG, which contains a five-year base period of performance and a five-year ordering period option. 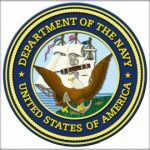 Naval Sea Systems Command received 1,894 offers for the follow-on procurement vehicle through a competitive solicitation on FedBizOpps. Scope of work mentioned in the solicitation notice includes systems engineering, software development, research and development, system design documentation and technical data, financial analysis, quality assurance, configuration management, information technology and logistics support. Click here to view the Navy’s full list of awardees.